As a rule of thumb I always recommend to avoid processed foods and instead seek to consume everything it in its most natural state if possible, for the healthiest option. Yet sometimes we prescribe nutrients in supplement forms when needed for additional boosts in times of stress or overcoming illness - and they can be VERY effective. I have to wonder, in todays's life, are we not all under a little stress... and perhaps our food is a little less full of nutrition because of our depleted soils and if not organic, the long list of pesticides used to grow food. With that in mind, while protein powders come under the supplement banner, as they are not food in a "natural" state, they can certainly be beneficial when used wisely and like everything, there are some brands that are better than others - some products that I would be happy to use and recommend and others that I would be staying well clear from. Luckily now there are many on the market that are much more like food and less like a chemical explosion, and with these ones I lean towards using a few times a week to boost my diet especially as I start to see the effects of aging in my body. Firstly to consider is the source of the protein. Dairy sourced protein powders were once the only go-tos on the market but now there are many great plant-based proteins too which many people are turning to, not only because they are vegan but also because the whey-based proteins can be hard to digest for many and plant-based protein powders are now just as effective. DAIRY - WHEY PROTEIN ISOLATE and other whey based products. Obviously I don't promote the idea of supporting the dairy industry where every second calf born is a male, and therefor killed, alongside the suffering that occurs in the dairy industry especially in the US. BUT, even from a nutritional point of view, ignoring any of my values on animal welfare, I still don't promote whey or any dairy-based protein powders. They may sometimes be "higher" in protein content per serving, but they are hard to digest, often resulting in bloating, cramps and diarrhoea. There is also research to indicate too much whey-based powders can put the kidneys under strain. PEA - Pea protein is high in protein and healthy and while when I first wrote this blog, it wasn’t my favourite because of the texture, what ever they have done in the last year in production had changed my view! It is now as smooth as the rest, and therefore now one of my favs! RICE - I know, when you think rice you think carbohydrate. But when you use a traditional bio-fermentation process of sprouting brown rice protein and adding enzymes which break down the carbohydrate component, it produces a raw protein supplement, which is high in protein (80%), alkalising and easy to digest. HEMP - Hemp is now FINALLY a legal food product in Australia, which is great because it is super high in protein, oils and nutrients. I am trying a hemp proteins and am liking it, and I imagine we will see more creeping into products now. SOY - I prefer to stay away from soy-based proteins because of the many studies that show that soy in a processed form can cause hormone disruptions after consumption for a longer period of time. Processed soy can also be a reactive for many people, causing allergies. You may freak out when you turn a majority of protein powders to the ingredients side and realise they are full of the above ingredients you want to avoid, but check out below for amazing options! 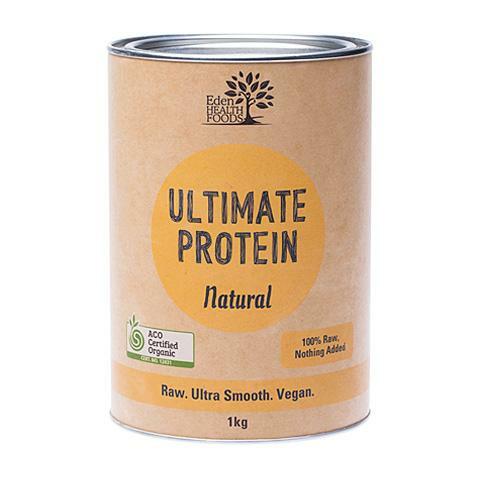 White Wolf Nutrition’s Vegan All-In-One protein is a smooth and creamy, naturally complete, quick releasing protein made from non-GMO, superior organic Belgian golden-yellow peas, extracted through a natural process to ensure maximum bio-availability. It is naturally sweetened using organic Australian Stevia. I am a fan. 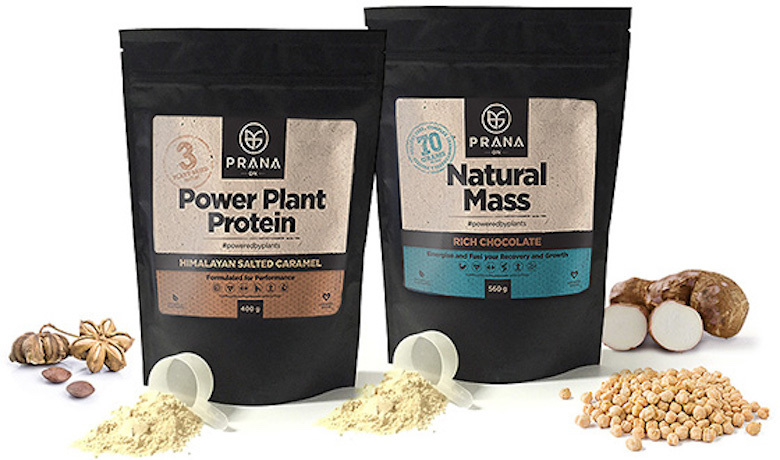 PranaOn is exclusively dedicated to creating a vegan range of sports nutrition products, formulated by accomplished and reputable natural athlete – INBA Mr. Universe Billy Simmonds. Designed especially for people with fit and active lifestyles, PranaOn’s complete range is manufactured in Australia using best business practices and 100% Green Power Energy. These guys are tasty and a blend of rice and pea. Amazonia Raw Fermented Paleo Protein has high levels of protein while traditional methods of fermentation ensure the powder has the optimum number of minerals and nutrients, and that it is easy for the body to digest. Made with superfoods including Spirulina, Chia, and Quinoa, as well as Peruvian Sacha Inchi. The formula is Certified Organic, and is made with wholefoods so it is a win/win. 22grams of protein per 30 gram serving. Amazonia Raw Protein Isolate: is their more simple pea and rice protein powder, also a great option, 24 grams of protein per serve. Down side is they are made in China, and anything made overseas increases energy needed to produce and perhaps less control in the production chain, but the end product is good. NuZest Clean Lean Protein in Natural flavour contains up to 88% protein derived from premium European Golden Peas, 20 grams of protein per serve and is the nicer of the plain pea proteins on the market, made in Belgium. 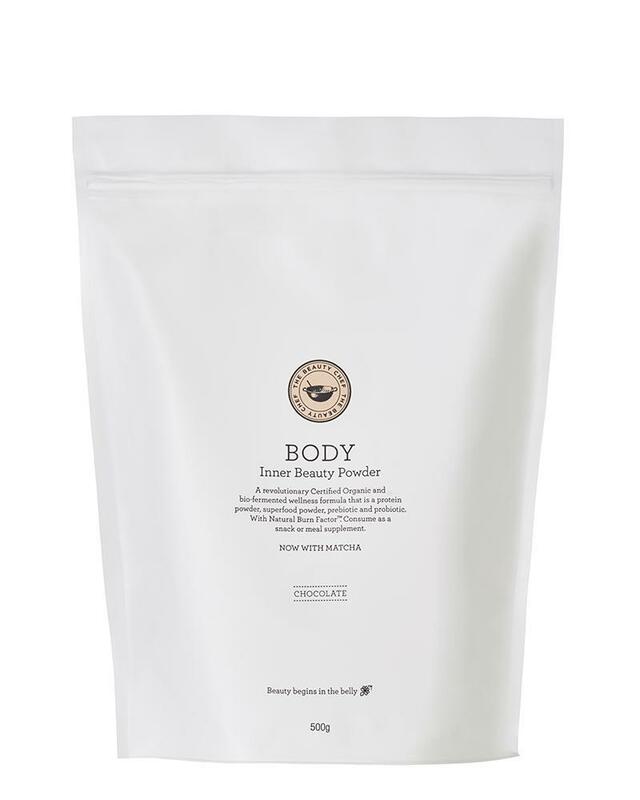 A great all round powder, that rather than just focusing on the protein element it also includes nutritious ingredients and probiotics, so it can be a wonderful natural "multi". For the protein component it is made from sprouted and fermented organic brown rice and pea proteins, fermented spirulina and chia seeds and gives you 13.4 grams per serve. Is created from sprouted and bio-fermented organic brown rice protein and gives you 27 grams of protein per serve. The beauty of this product is its clean, organic and nothing added. As "the" trainers to see in the UK, the fact that even they no longer recommend whey protein is saying something, and gives me faith I am not overlooking the most "effective" product because of my values. If these guys are training the actors, the models, the athletes and they get them to have plant-based protein powders, then it confirms it is the way to go from a strong-body perspective. Made from a base of organic fermented pea protein and organic sprouted brown rice concentrate, they taste great and you get 17 grams of protein per serve. These guys also do a raw whole-grain rice protein, it isn't organic though, but you will get 17 grams of protein per serve. As for everything in life, variation keeps it spicy. So change it up every now and then to keep getting different forms of nutrition into your body for support.